Revive! sponsored Andrew Jordan was back in action last weekend during rounds 10, 11 and 12 of the British Touring Car Championship, whilst also moving to the top of the Independents’ Championship standings, despite a challenging weekend at the Oulton Park circuit. 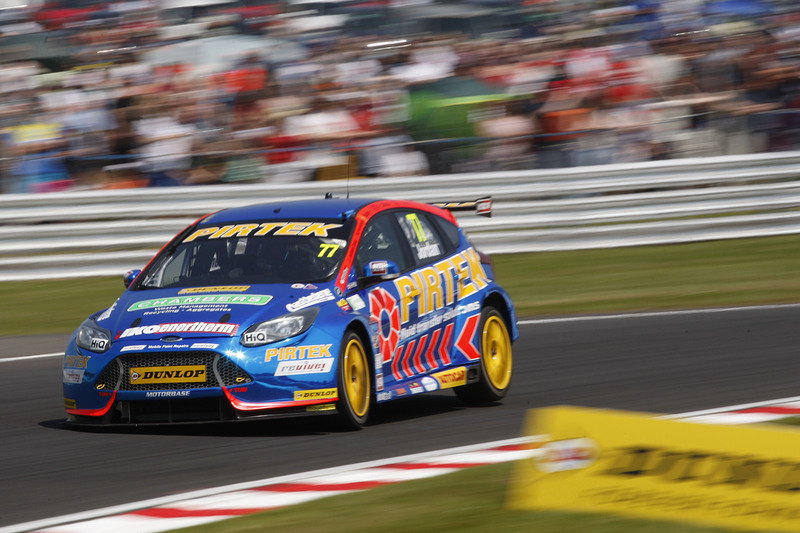 Jordan entered the weekend with confidence on the back of an impressive performance at Thruxton where he secured two podium finishes and his first race win of the season in the Motorbase Performance Ford Focus. Qualifying was tight as expected, with Andrew lapping within just half a second of pole position. But even half a second stacks up in the BTCC which meant a qualification position of twelfth for the first race of the weekend. Jordan managed to jump a place in race one straight off the line, and then slotted himself in at tenth to rack up some valuable points for the season’s tally. Race two showed another two place progression, jumping up to eighth, despite an early on shunt from the rear which could have spelt trouble in the opening lap. In race three, the pressure was on to secure a hat-trick of top ten finishes, in what was actually Jordan’s 250th race in the BTCC. Another eighth place finish meant that although it wasn’t a race leading weekend, it was a consistent point scoring one which strengthened Jordan’s lead in the Independents’ standings. It also keeps him in the hunt for the overall championship. The lack of straight line speed was restricting admitted Jordan, and it didn’t allow him to mount an up-front challenge. But it wasn’t all doom and gloom, as consistent point scoring has allowed Andrew to break into the top six in the overall championship, 37 points behind current leader Sam Tordoff. “This was one of those meetings where things just didn’t go our way,” said Andrew, “but we have come out of it with three points finishes to our name and with the lead of the Independents’ championship. “Given how hard it is to overtake at Oulton Park, race day was always going to be a challenge after qualifying in P12, but we weren’t helped by the straight-line performance of some of the other cars, who could just drive away from us. “Unfortunately, that is something that is down to the regulations and is out of our control, so we simply had to focus on doing the best job we could with the package we have. “The team has done a good job, as ever, but this weekend was one where we had to play the long game and make sure we picked up the maximum points possible in terms of the championship. We now wait until the 19th June for our next race weekend which will be at the Darlington based track, Croft. Let’s hope Jordan can make up some ground here. Revive! are the UK’s experts in minor car body repairs, and we repair wherever you are. Whether you have a scuffed bumper or damaged alloy wheels – don’t worry, we’ll fix it. Just click here for a free no obligation quick quote today.